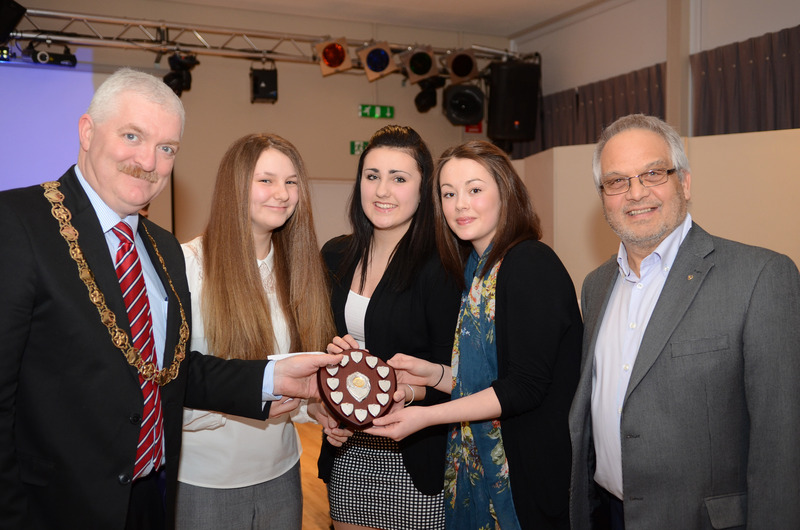 Eight teams of Year 10 BTEC students from Somervale School, Midsomer Norton entered the Big Pitch Competition sponsored by the Rotary Club of Somer Valley. Over the past six months the teams presented their business ideas to a panel which then decided to award them a loan, funded by the club, to set up their own mini-business. The three short-listed teams went into the finals held at the Centurion Hotel, Midsomer Norton on Tuesday 2 February. The finalist presented their business plans to an audience of club members, guests and parents who voted for the team they thought was the best. The winning team of Amy Chapman, Shayla Hopson and Laura Snook received a cheque for £100. Their Bath Bomb Blitz business saw them selling home-made bath bombs to fellow students and teachers and to wider community at a Christmas events. As it was the festive season they created their own packaging specifically to appeal to Christmas shoppers. Phil Edmonds, Chairman of the club’s Youth Committee praised all the entrants for their hard work and ingenuity, as did Mark Kenny, Somervale’s Deputy Head.